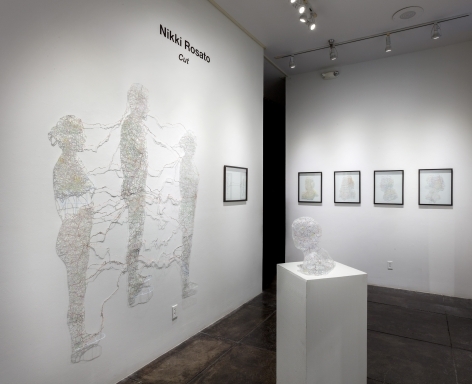 JONATHAN FERRARA GALLERY is proud to announce Cut, a solo exhibition of New Cut Map Portraiture and Sculpture by artist NIKKI ROSATO. Rosato’s first solo exhibition at the gallery, will be on view from October 1st – 30th, opening with an artist’s reception on Saturday, October 5th, 6-9 pm, in conjunction with Art for Art’s Sake. 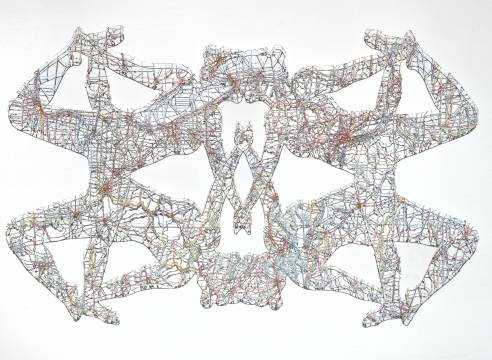 As a finalist of the 16th Annual No Dead Artists: National Juried Exhibition in 2012, Rosato is the first winner of the show’s grand prize: a featured solo exhibition at Jonathan Ferrara Gallery. 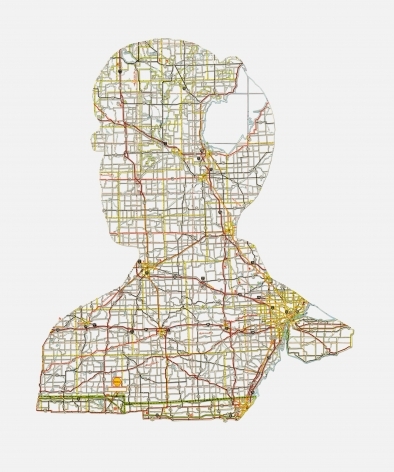 Much like the work in No Dead Artists, Rosato will be featuring a full array of her studies of the human form in the cut map medium; ranging from life-size depictions of men and women to 3-D busts. 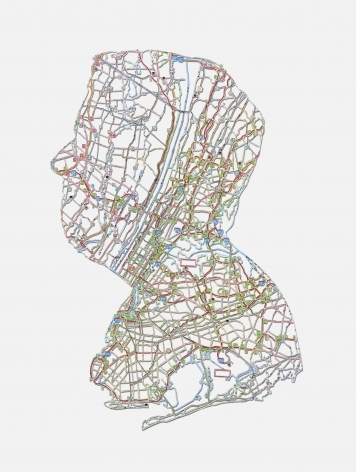 Cut will expose Rosato’s artistic breadth in her continued study of figure and cartography. 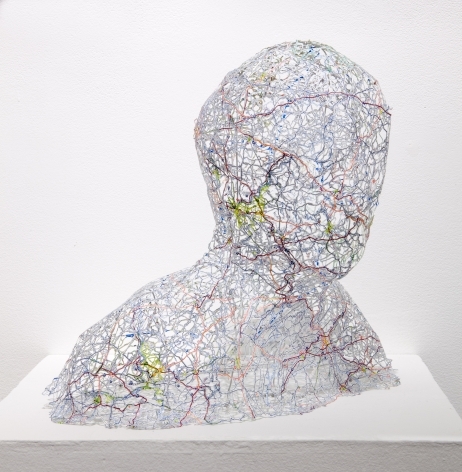 In my work involving maps, as I remove the landmasses from the silhouetted individuals I am further removing the figure’s identity, and what remains is a delicate skin-like structure. 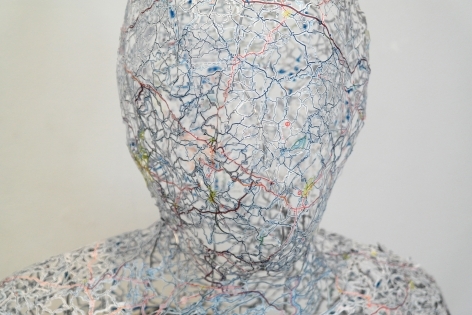 Through this process, specific individuals become ambiguous and hauntingly ghost-like, similar to the memories they represent. 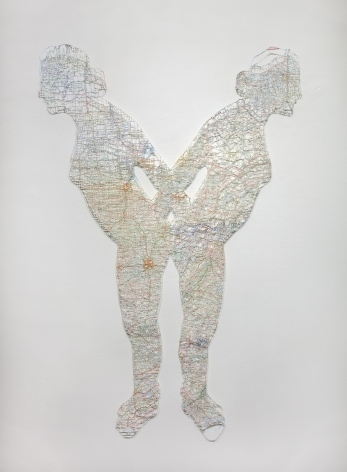 The figures in the Connections series find themselves bound by the roads that both separate them as well as lead them to one another. 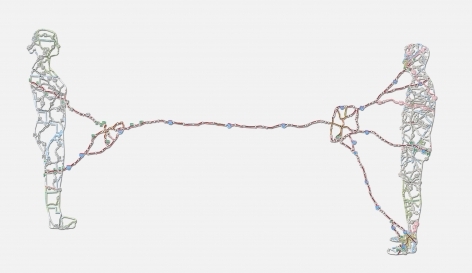 People are often separated by distance, and these connected lines represent the roads that are either explored to bring these figures together, or left untraveled, further symbolizing not only their physical distance but also psychological and emotional space. 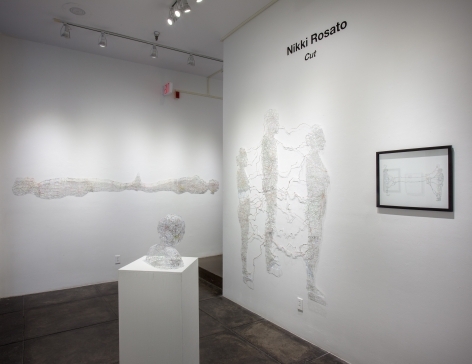 NIKKI ROSATO earned her MFA from the School of the Museum of Fine Arts, Boston in 2013. 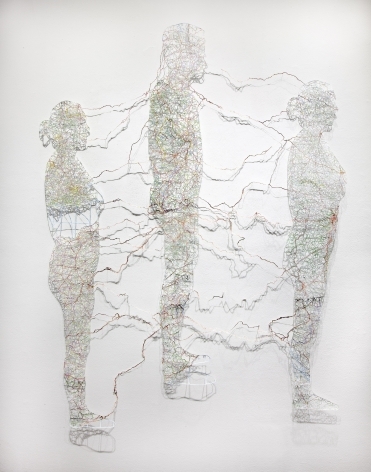 Prior to studying at SMFA, Rosato received a Bachelor of Arts degree in Studio Art and Art History from the University of Pittsburgh. 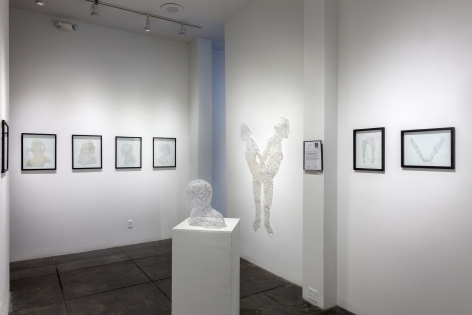 Rosato’s work has received multiple awards, including the 16th Annual No Dead Artists: National Juried Exhibition grand prize: a featured solo exhibition at Jonathan Ferrara Gallery and has exhibited both nationally and internationally. 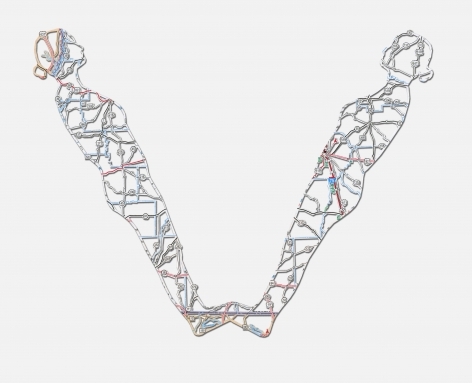 In 2013, Rosato’s work was featured in Lovin’ it, Symbol and Contradiction at the Bromer Art Collection in Roggwil-Kaltenherberg, Switzerland as well as Mapping the Way at Walford Mill Crafts in London. 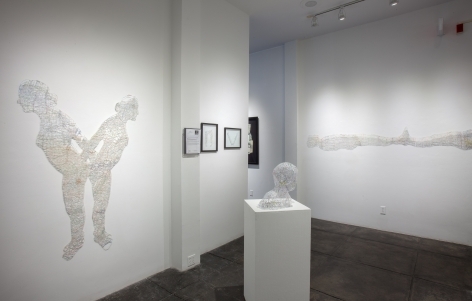 Her work has been featured in numerous publications, including The Boston Globe, Canadian Geographic, The Pittsburgh Tribune Review and Hi-Fructose New Magazine.